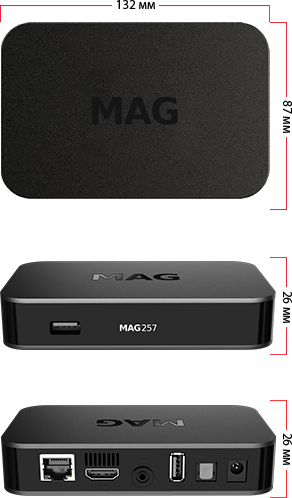 PLESE NOTE: MAG256 are supported by services running Stalker Middleware 5.0 and above. This box is NOT COMPATIBLE with the perevious versions of the middleware. Please confirm with your IPTV service provider before you order, all sales are final. Not for resale or home use. For research and testing purposes only.